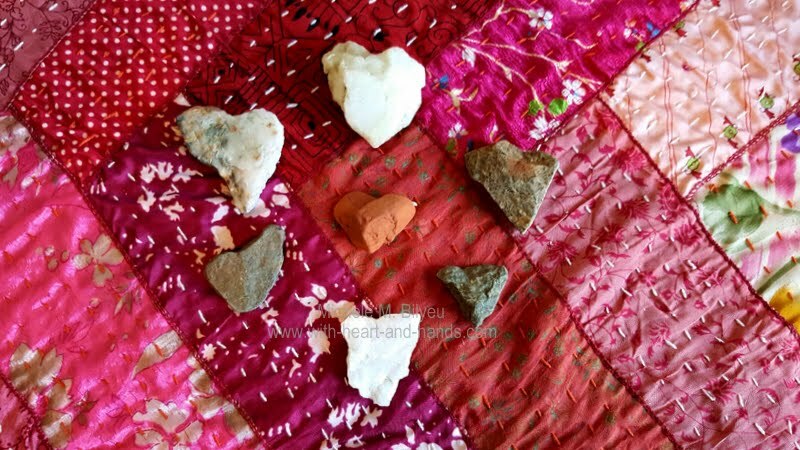 I found these heart rocks in Douglas, Alaska during my last trip in October. We all grew up there. Myself and four brothers, and even his wife Becky, who has recently passed on from end stage kidney failure. I found these within minutes on the beach and knew I was meant to bring them back to Oregon for my collection. I have rocks and sea shells and other wildcrafting bits and pieces all over my home. I have always found heart shaped rocked wherever I go. I once shared this with a family friend and she said "really? I don't think that I've ever found one." We were canoeing in the middle of the Willamette River so when our family's canoes beached for a stretch, I searched for and found 17 heart shaped rocks that I found in just minutes. That's how easy it can be for me to find them. I just love my heart rocks. My. heart. rocks. My heart rocks ..with love, with joy, with caring. And that force helps with both grief and grieving. I tell my brother..bit by bit, day by day. It hurts terribly and it may take a while, but you can do this. This is one of my favorite poems, and I can see how you could use it for healing. Your heart rocks, Michelle. Beautiful thoughts and word. I have a little collection of rocks that I've pick up when we visit family in Nevada. I love to hold them in the palm of my hand and thing of all my loved ones so far away. That's a beautiful post Michelle. Thank you. You're right it just takes time to come to terms with such loss. I'm not sure you can say you get over it. God willing you learn to live with it. Have to say I've never seen heart shaped rocks. All the pebbles I've found are oval. I must look next time I'm on the beach.